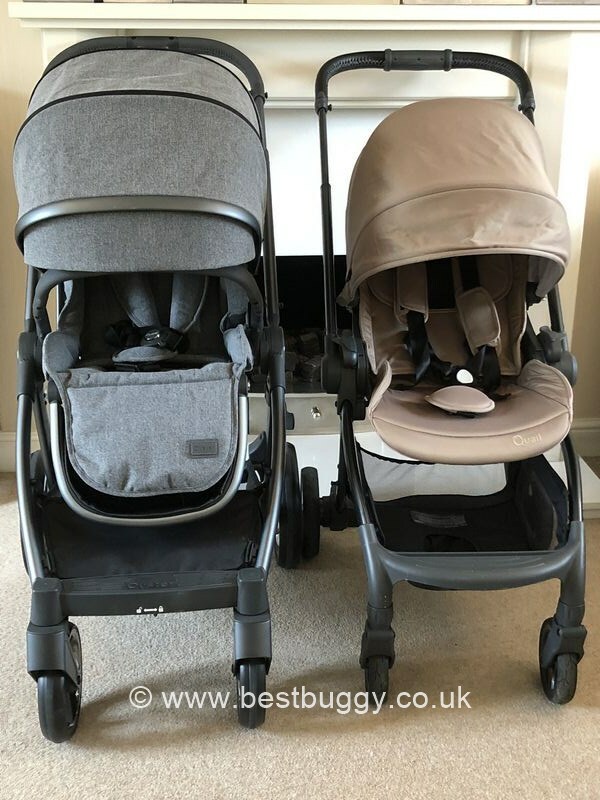 These two pushchairs are the Babystyle Oyster 3 – grey fabrics – and the Egg Quail – gold fabrics. 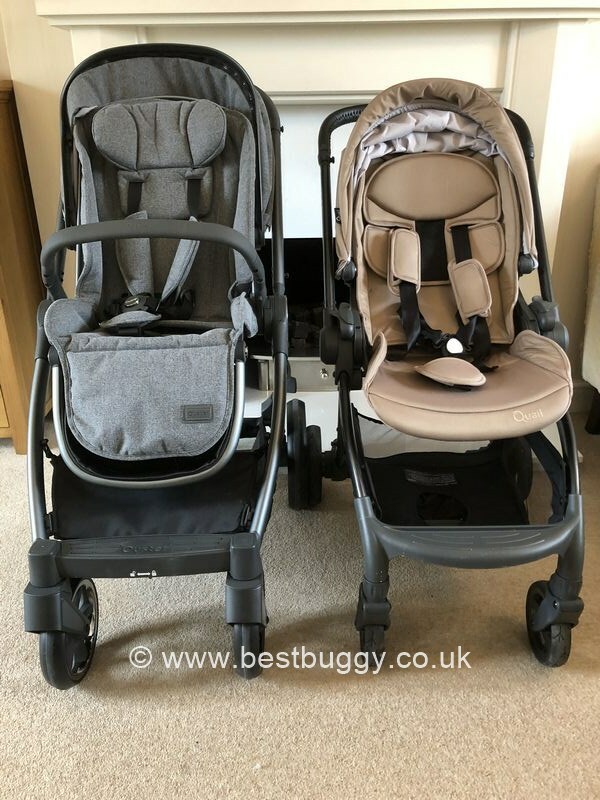 These are two stunning pushchairs with small compact folds. We have given both pushchairs 5 Best Buggy gold stars in our reviews here on our website. We want the images to speak for themselves, however, whilst the Quail may look dwarfed by the Oyster 3, the reality is that the Quail seat is huge – there is much more room under the hood canopy than the Oyster 3 seat. So don’t let these images make you think otherwise.